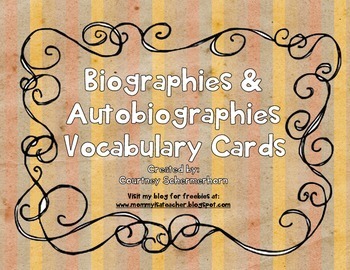 These vocabulary cards are perfect for a unit on biographies or autobiographies! 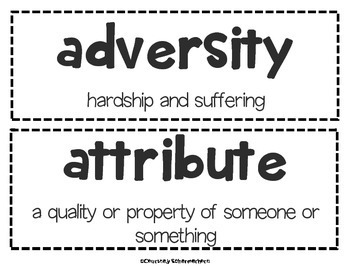 Display them in a pocket chart or on a bulletin board. 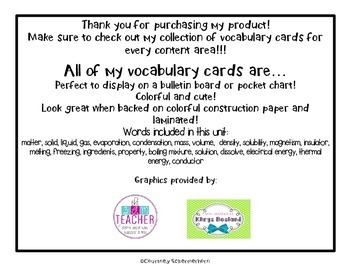 Each card includes the vocabulary word and a definition. 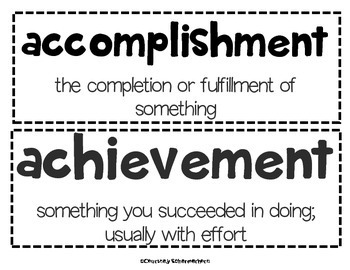 The words are big enough to be seen from all around your classroom! They will help your students in writing research papers, preparing for standardized tests, and understanding the significance of important historical figures. Cut them out and back them on colorful construction paper or scrapbook paper, and laminate for durability!